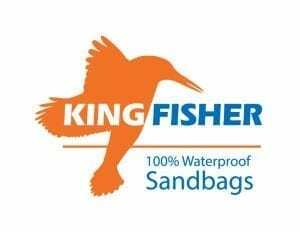 Kingfisher™ is our brand of superior polypropylene sandbags. Constructed using the highest quality components, including tightly-woven polypropylene, these sandbags are are built to withstand the most extreme elements. The sandbags are 100% waterproof and chemical resistant to ensure that the contents are not contaminated from outside. This makes our bags ideal for flood relief and prevention. The woven coated exterior to Kingfisher™ sandbags also exhibits high tensile strength, elongation, and puncture resistance. Check out our solutions for your specific industry. The Griff Network has a long history of working with our clients to help find the perfect solution to their needs. Since 1977, our dedication to quality has continued to grow and fueled our expansion of capabilities to include extrusion, lamination, metallization, coating, converting and much more. The skilled research and development team has created a multitude of custom projects and found creative ways to satisfy our clients' product requirements. All of these results are obtained and conducted in a ISO 9001:2015 certified facility. With our focus on quality, innovation, and unique solutions, The Griff Network has become a one-stop-shop for our clients. Copyright © 2019 THE GRIFF NETWORK. ALL RIGHTS RESERVED.